Well, it’s November. And I’m just going to go ahead and apologize for the the whining that is sure to ensue, as I’ll be 30 years old in just a few short weeks. Well, that’s not entirely true… I probably won’t whine too much. I’m not really that upset about it. And honestly, I kinda feel like I’m missing something because I’m not filled with dread or mental anguish over what – to me – is just another number. It’s pretty amazing how much my life has changed in the past 10 years. My twenties are sure to have played host to some of the most monumental times of my life – college graduation, getting married, buying a house, having a baby – becoming an adult. I’ve always been mature, but I can’t say that 10 years ago I would have expected to be where I am now. I guess I had those status quo aspirations of becoming famous and changing the world – the things every 20 year old dreams of… I think. But, I’ll certainly stop short of saying that I failed. Sure, I haven’t discovered a cure for cancer or developed the newest internet sensation and made a billion. But, my world has changed without a doubt. Becoming a father is probably the most supreme accomplishment of my twenties. And amazingly I wasn’t even sure that was a path I wanted to take – I wasn’t sure I had what it would take to be a daddy. But my wife had faith in me and now I can’t even imagine a day without that little rambunctious ball of energy. He truly has changed my life. I saw a quote the other day that said, “This may not be where I intended to go, but I’m pretty sure I ended up where I’m supposed to be.” It struck a chord with me and just got me to thinking about where I am in life. And I truly believe that I’ve ended up where I should be – as a husband, a daddy, scaring the monsters out of my little boy’s bedroom, making him eat his vegetables, then finding myself sitting here in my bed at 10:30 on a Monday night telling y’all all about it. Thanks for being a part of that. I love y’all. With fall here and the temps falling, my desire for stick-to-your-ribs comfort food is growing. This recipe is a great way to fill your family’s bellies with wholesome food that doesn’t cost an arm and a leg. 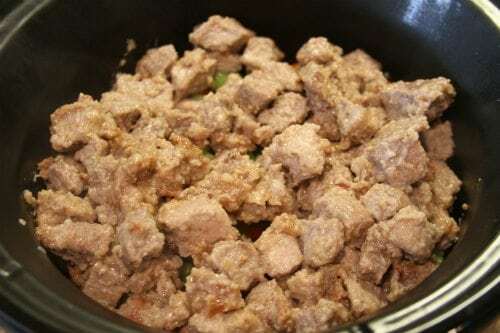 In a large bowl, generously salt and pepper meat and stir with flour until meat is coated. 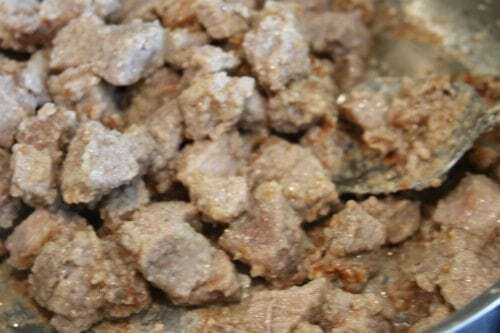 Heat oil in a large skillet and brown meat. 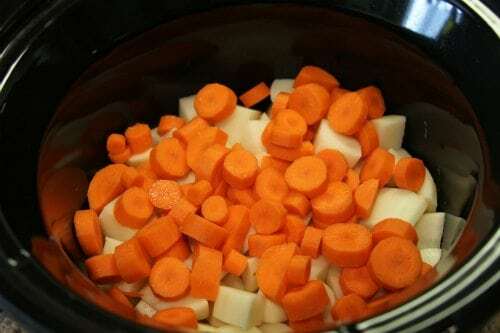 In the slow cooker crock, place potatoes on bottom, top with carrots, celery, browned meat, then onions on top. In another bowl combine gravy packets and garlic powder with beef broth. Pour mixture into crock. Cook on low for 7 to 8 hours, stirring once in the last hour. Can you find me in this picture??? 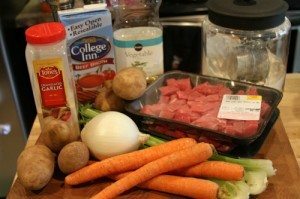 I love the slow cooker beef stew recipe! I asked my 82 year old mother, and she advised that it is just like the one she was given as a girl, just cooked in a iron dutch oven. 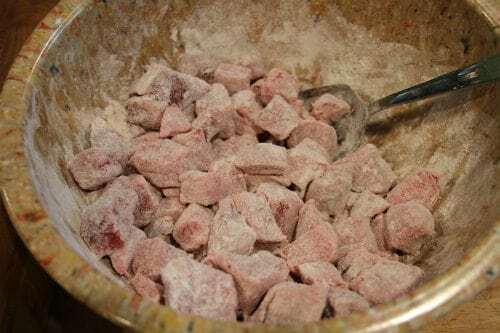 I wish I had a big bowl of it right now. Looks delicious! 30 didn’t bother me a bit. 40, well that’s another story…..Haha! 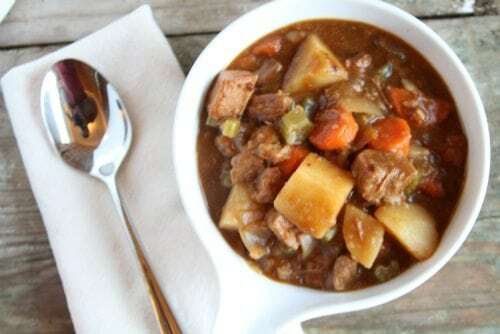 Looks delicious and just like the stew I remember my Mom making! Loved your retrospect…and the quote! We have 2 sons (28 and 31) and have had the pleasure to watch them become husbands, home owners, and fathers of sons while in their 20’s! What joy! Thanks for taking us (your readers) along on your journey! May God bless you as you celebrate your 30th!! You must feel blessed in all your accomplishments you have encountered over the past 10 years. Being blessed in your marriage and having a baby changes everything. God’s gift of a precious baby to love and watch him on his journey as he grows is sure enough a “miracle.” A family is God’s gift. He knows the path he wants us to take as he gives it to us. Age is just health years so we can enjoy the things that make us happy without worry, then life repeats itself. My son is 46 and I have watched life repeat itself, and it is beautiful. Happy Birthday and enjoy your 30th to the fullest. 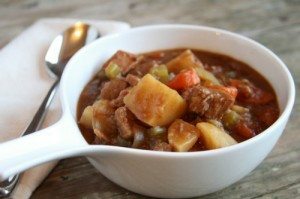 I’m going to save this delicious recipe to make on a cold wintery night to sit by a cozy fireplace and have a nice bowl of stew. Yummy! Hi Stacey! This recipe looks great. I’m looking for something to take to share/feed my connect group from church. How many adults would this serve? Just wondering how much I would need to add to it. thanks!! I am loving your blog! Hmmm, I’m never good at this. Portion size varies so much from family to family. I would guess that this would feed 5 to 6 people depending on serving size. Adding extra veggies is the most cost effective way to stretch a meal like this. So glad you’re enjoying the blog! Funny my dad posted! 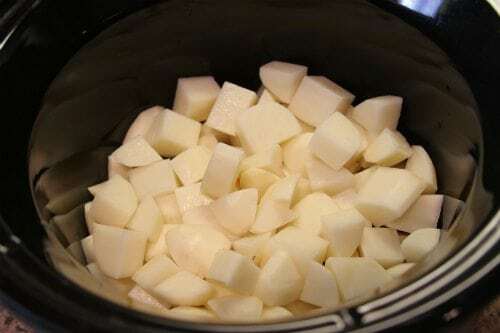 NExt time you have this try putting in cut up rutabaga in leu of some or all of the potatoes. An older man at publix told me to try it in my stews/pot roasts and it is AMAZING! You can also use turnip roots. Usually the grocery store only has one or the other. Anyways we had this tonight with the rutabagas and it was SOOOOO GOOD! Zach even ate it without complaining! Sounds great! I love any root vegetable. I’m sure it’s delish! Thanks and you are so correct! It’s amazing sometimes to just stop and take it all in. 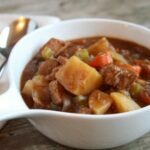 How big of a slow cooker did you use for this recipe? Looks wonderful!!! I used a 4-quart for this recipe. Hi Stacey, just came across your site today. 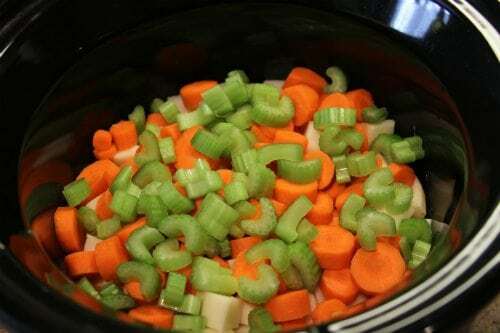 I have your beef stew in my slow cooker right now. It smells delicious. Have followed on Facebook, thanks for sharing. Hello there! Welcome! I hope you enjoyed the stew! Could you put the No. of servings with the recipes? Good Afternoon Stacey! I made your beef stew yesterday and it was very good and very filling! My husband sent me a text from home yesterday while it was cooking in the crockpot, and told me the stew smelled “awesome”! I took some of it to our 86-year-old aunt who lives up the road, and her text read: “so good!”. So, you got good reviews all around up here in southern New Jersey. Couldn’t have found this recipe at a better time – it has been so darn cold in these parts! I served it with homemade buttermilk biscuits and applesauce. Yum! Thanks for another good recipe! Sounds delicious! I’m so glad everyone enjoyed it!! Hey Stacey! I have beef burgundy going right now. I use a combination of beef broth and red wine in my stews. I have never been bothered by birthdays. You are only as old as you think you are and my mind is much younger than the image I see in the mirror! When my son turned thirty he said “Mom, I’m getting old” and my reply was add thirty-five years to that and you will know how I feel! He just laughed! Goodness. So many times it’s all in the ingredients. I found you in the picture and you look 50!